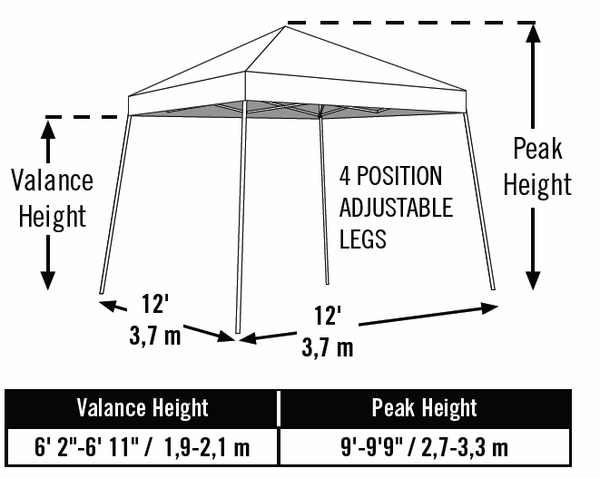 Base, Low: 11'-4" x 11'-4"
Base, High: 12'-0" x 12'-0"
Cover Dimensions: 9'-0" x 9'-0"
This pop up canopy tent is part of the Sports Series. It features a collapsible ultra portable frame. The tubular steel frame is beam welded and very stable. The synthetic joints add flexibility. 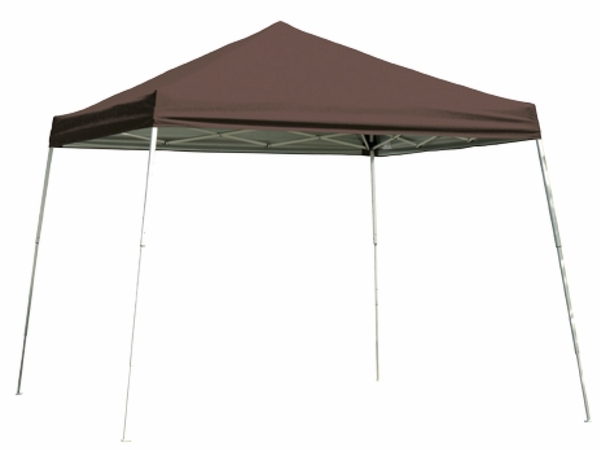 The steel frame is coated with a baked on Du Pont thermoset powder coating that resist rust and corrosion. 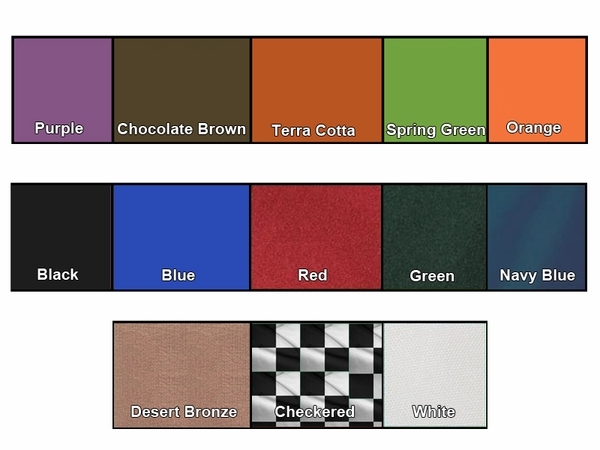 The polyester cover is naturally resistant to mold, mildew and fading. 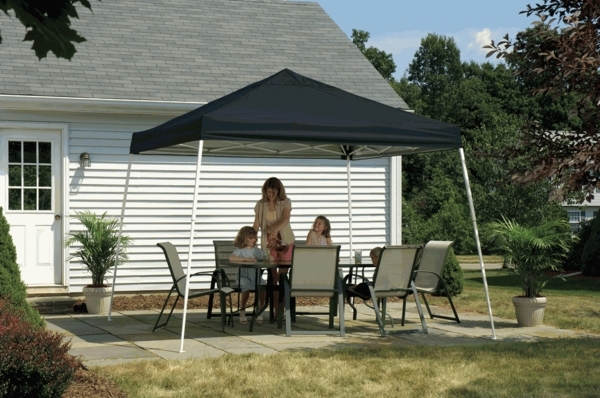 The cover has a polyethylene fiber lining for extra moisture and sun protection. Like that its heavyweight. Very large canopy. Was very surprised in the size of carry bag. The only thing that was troubling is the stands that are on bag have collapsed and bag with canopy in it won't stand freely. Have to lean it against something or hold it up. ConsBag wont stand freely, also the velcro snaps have started to tear top.